Generally speaking, trespassing is being someplace which you are not supposed to be. While it might seem like it shouldn’t be considered a big deal because there was no harm, the fact is any type of criminal conviction can impact you negatively. There are two types of criminal trespass. Criminal trespass 1° is a gross misdemeanor, meaning the maximum penalty is 364 days in jail and a $5,000 fine. This is charged when an individual enters unlawfully or refuses to leave a building when properly asked. A common example is when someone is asked to leave a bar but refuses to do so or it told not to return but does. Criminal trespass 2° is a misdemeanor which means the maximum penalty is 90 days in jail and $1,000 fine. This form of trespass is like 1° except without the building. So if you unlawfully enter an area or refuse to leave an area which is not a building, then you can face a trespassing 2° charge. 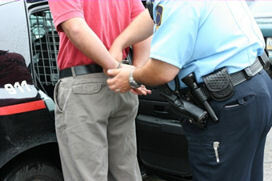 If you have questions about a criminal trespass charge you may be facing, do not hesitate to give our office a call. We will be more than happy to discuss your options and case with you.